Here in San Diego, the average resident has probably never heard of our audiovisual company, and that’s to be expected. We don’t have a storefront, and we operate in the business-to-business (B2B) sector. Most people have no use for our specialized services. However, as a recent article in MySanDiego.org points out, many San Diego residents are very familiar with our work—they just probably don’t know it’s our work. The MySanDiego.org article highlights well-known San Diego establishments who have worked with Fluid Sound for audiovisual installations: The Lot, Barona Resort & Casino, and Phil’s BBQ. Any time we work with dining and entertainment establishments in San Diego, it’s our goal to help them enhance their customers’ experience. Sometimes this means creating stunning visual displays, like we did in the Barona Casino expansion, and other times that means designing and installing high-end audio systems, like we did in The Lot in La Jolla and Liberty Station. 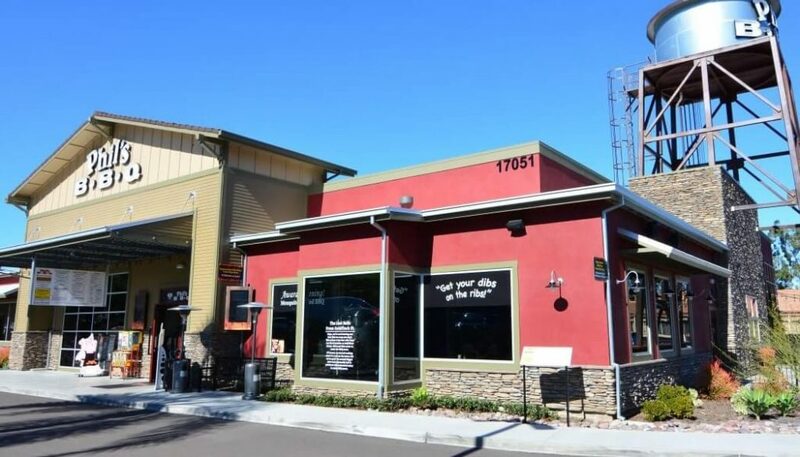 In several Phil’s BBQ locations throughout San Diego County, we installed everything from digital menu boards to broadcast video displays to audio distribution systems that help to create an exciting dining experience. What customers of these San Diego establishments don’t see (or hear), however, is what goes on behind the scenes. Our audiovisual company provides restaurant and entertainment venue owners and managers with the ability to easily control the audio, video, lighting, security, and climate in their establishments. In other words, they don’t have to have an advanced degree in audiovisual technology just to be able to use the systems we install—pretty much anyone can use them with a minimal amount of training. In most cases, everything is controlled by an easy-to-use, intuitive touch panel or a wireless device like an Apple iPad. We understand that people operating busy dining and entertainment venues, such as the three mentioned above, have a lot on their plates. There is so much involved in making sure things run smoothly and that guests have an enjoyable experience. By giving restaurant and venue operators an audiovisual system that is easy to control, yet still customized for their venue, we make their jobs a little easier. If you own or operate a dining or entertainment establishment in San Diego and are looking to upgrade your audiovisual system with a customized system, we’d love to talk with you! We can design and install a system that both you and your guests will love. We also work with corporations and other organizations, such as educational establishments and government agencies, on projects like high-tech conference rooms, training rooms, and control rooms. We have experience in all types of industries and with many different types of technology. We can help you design a system that will serve both your company and your employees well. Let’s get started! At What Point in the Process Should a General Contractor Call in a San Diego Audio Video Contractor?